As an intervention teacher, I’ve seen the power of setting a clear goal. I’ve seen students beg to take a test because they want to prove to me that they know something. When our leadership team was preparing to move our school in the direction of teacher led conferences, I share a goal sheet that I sometimes use in intervention. I created this sheet one day after I felt like my multiplication group was not focused. Each student has a multiple to focus on and a test to pass. I let them choose from a variety of ways to practice. This works well when I have 4th-6th grade intervention students but a new 3rd grade group wasn’t quite getting that choice doesn’t mean free time. This form helped. They filled in something as simple as I will memorize my 6s. Then, they chose two ways that they were going to practice and they had to stick to those two choices. I saw a difference in effort, concentration and motivation right away. Our leadership team decided to do something similar for conferences. This was a tool they used during student led conferences to help them share what they need to work on. For my Kinder and primary teams, I made a simple version with dotted lines. Our upper grade students were able to handle a bit more. Positivity is key. We wanted to make sure that the students listed their strengths before setting a goal for improvement. Our school has been using a helpful book called Visible Learning by John Hattie as part of our Data Teams Process. I’m part of an intervention team that meets a few times a year. Our team of 4 teachers set two goals. We wanted to track and make sure at least 70% of the students in intervention and SPED were making progress towards their goals. We also wanted to support homeroom teachers to promote great teaching and Tier 1 interventions in the classroom. One of the great things about the book Visible Learning is that you can see which teaching strategies have proven effective. After looking at a ton of students, they created an “effect size” score. 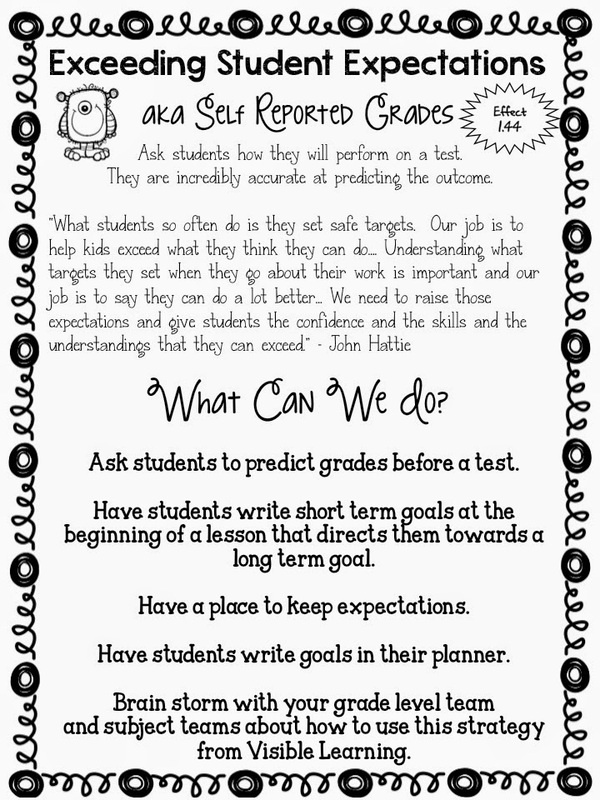 One strategy that is most effective is self reported grades. My intervention team put together this little flyer encouraging ways to encourage students to have high expectations for themselves. 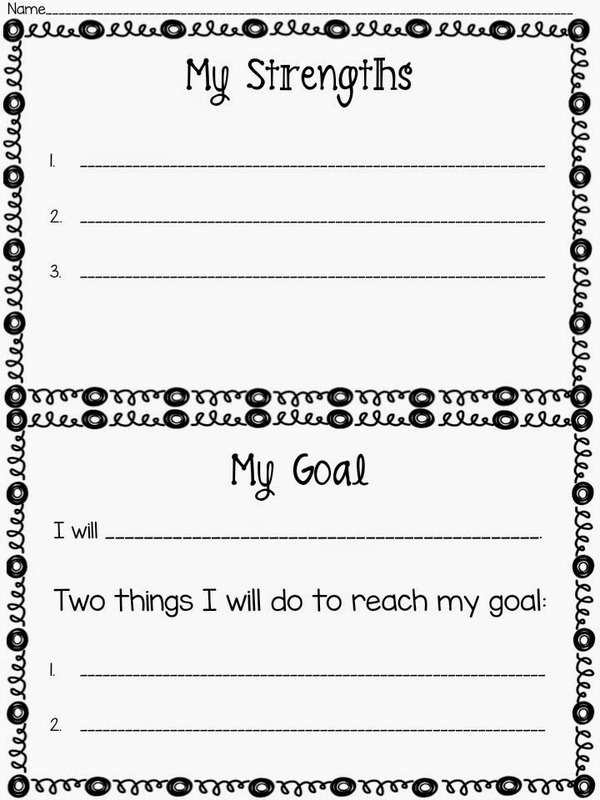 I included this with the goals sheets because I want you to remember to have students set challenging goals for themselves. You can download all this for FREE here. 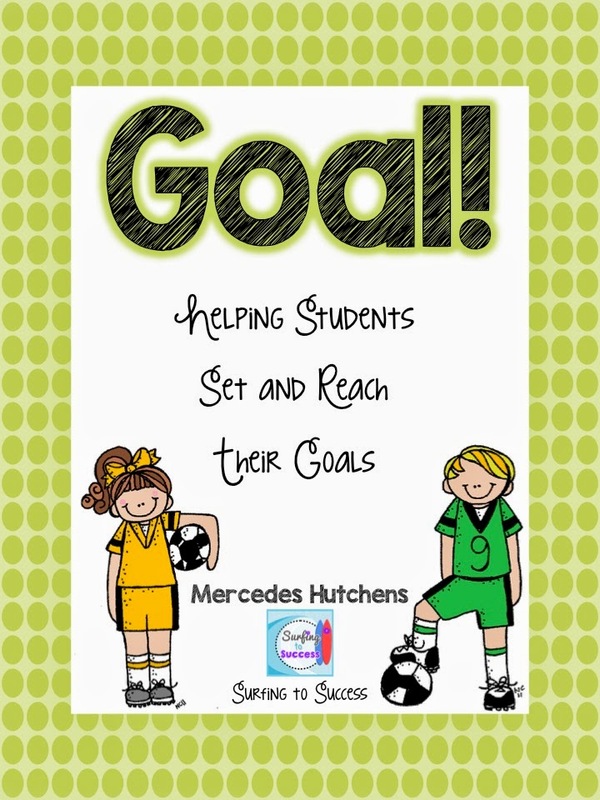 You don’t have to wait for conference time to have your students set goals. Spring time is a time when students lose a bit a lot of focus. 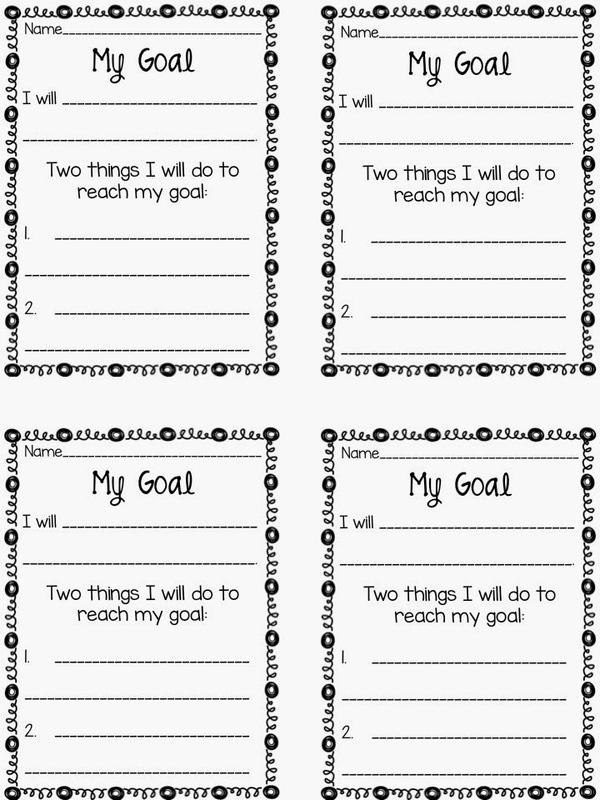 These goal sheets can help remind your students why they are at school and what they need to learn before summer. 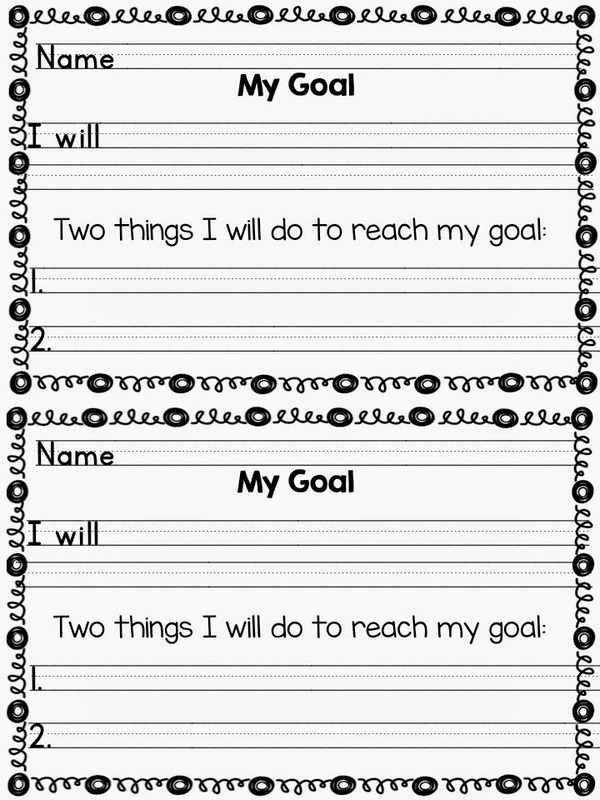 These can be used to set academic or behavioral goals. I’d love to hear about how you use them in your classroom.